A witness said a lithium battery started the fire. SAN DIEGO (KGTV) - San Diego’s boating community is stepping up to help a family who lost their floating home in a fire. 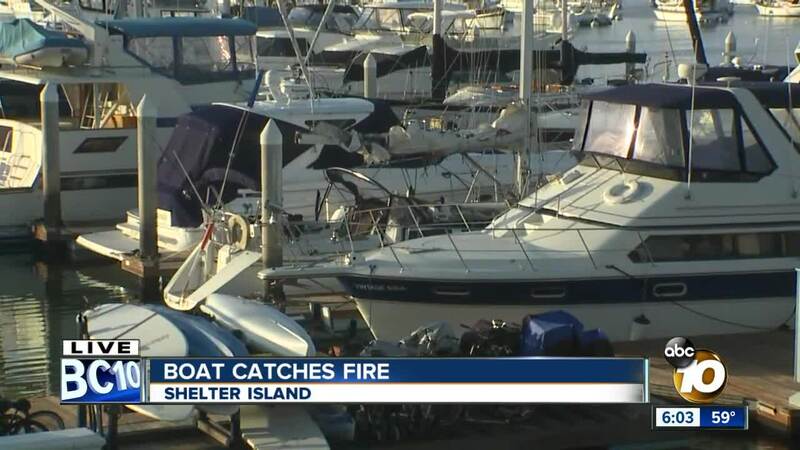 The boat, Both/And World, caught fire while docked at the Shelter Island Marina Saturday just before 3 p.m.
"I was just merely walking off of the boat and saw the smoke, thought it was a barbecue then the kids started screaming on the dock and saw the black smoke and knew it was time to react,” said witness Charlie Colson. The man who lived on the boat with his family grabbed a small hose and tried to put out the flames, Colson said. People on shore grabbed a larger hose and had most of the flames knocked down by the time firefighters arrived. Colson said the family, which includes the man’s wife and 6-year-old son with special needs, had just moved on to the boat last week. The only salvageable items were the boy’s stuffed Donald Duck and his iPad. According to Colson, the flames were sparked by a lithium battery on a charger. Investigators have yet to release the official cause of the fire. Colson believes the boat is a total loss. However, the sailing community has offered other boats to the family.